Welcome to Pelican Poly & Pallets (P) Ltd, Manufacturer & Exporter of Polymer Products. The company was incepted in the year 2008, at Vadodara. We have technically sound infrastructure & customized range of products. Our products are applicable at agriculture, construction, health, safety & other sectors. Superior quality, competitive prices, effective packaging facility & experienced professionals are some of the striking features of our company. We are engaged in offering Polymer films, warning tapes & Anti Skid Bags. We offer different types of nets & meshes that include mosquito nets, square mesh, rockshield & many more. Along with that we offer polymer films that are manufactured using high grade raw materials. 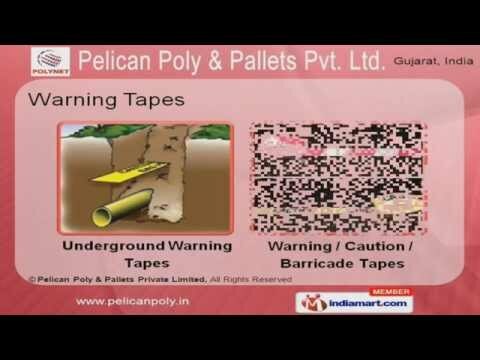 Warning tapes are the best in the industry amongst others & are available at competitive prices Drainage, pigeon, hexa fencing & turf protection nets are manufactured under expertsuper vision. We also offer anti skid bags.